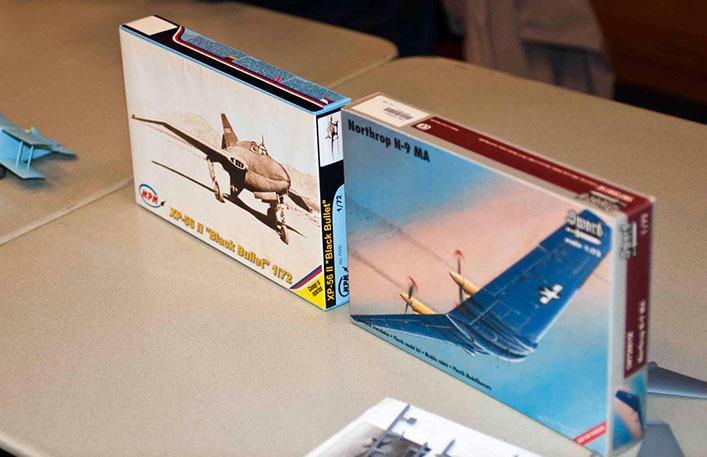 Theme: X planes and “what ifs”..
Brian brought along several rare boxed kits featuring what ifs amnd X planes. 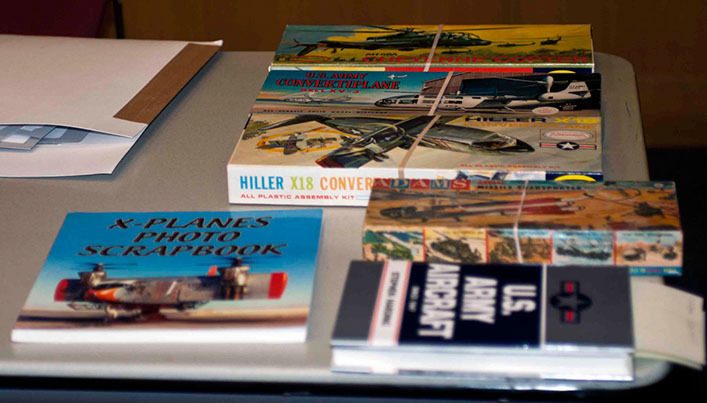 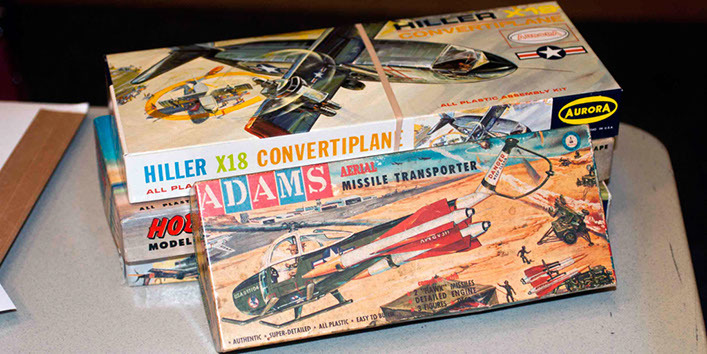 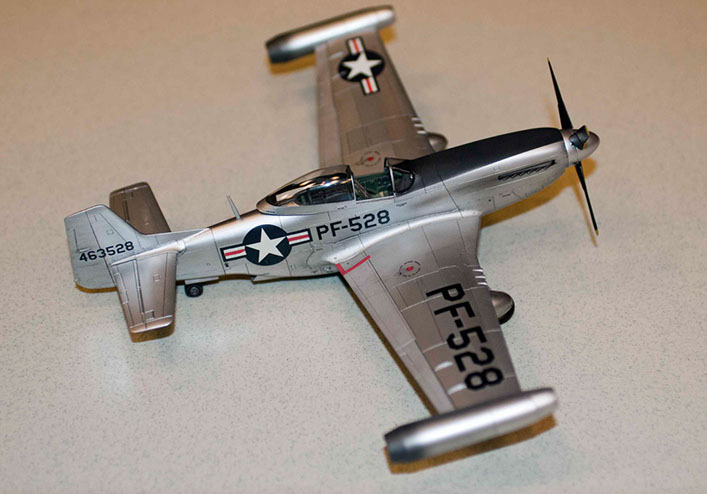 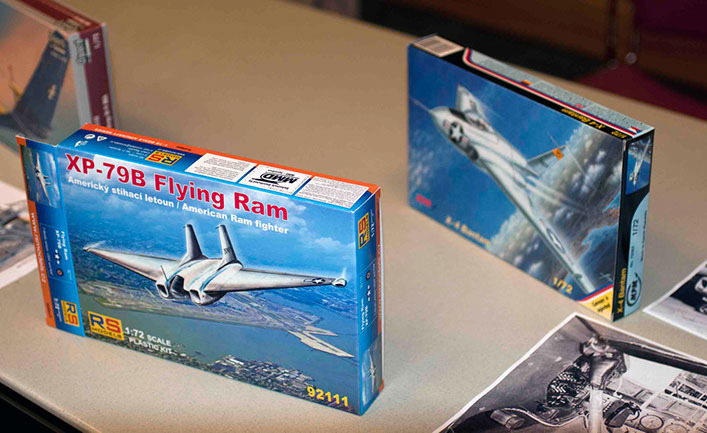 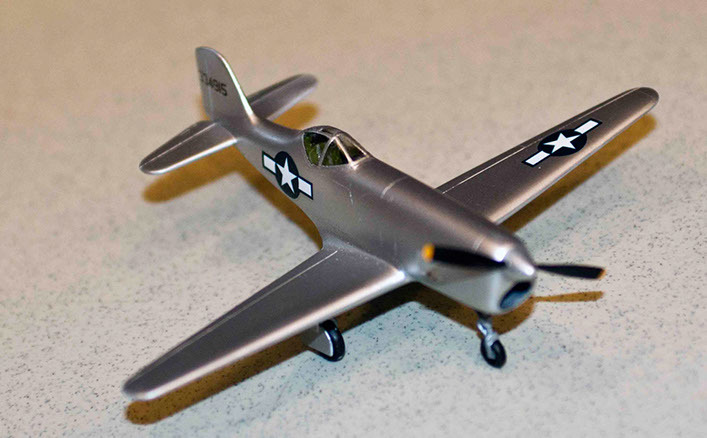 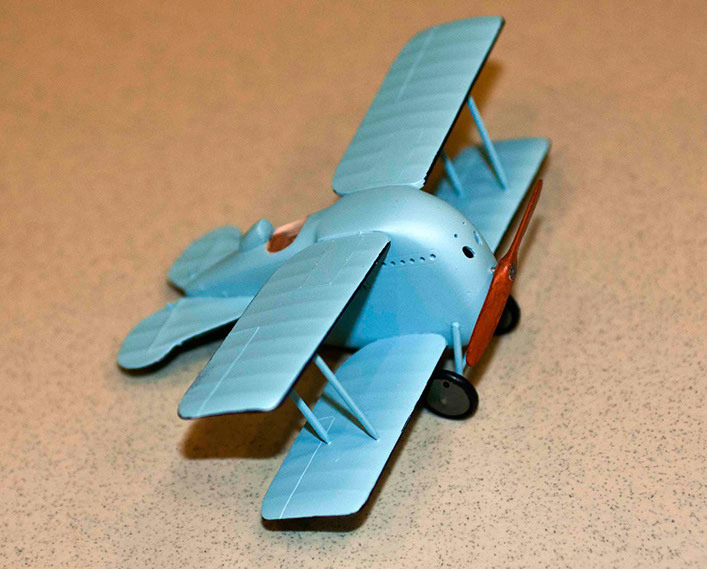 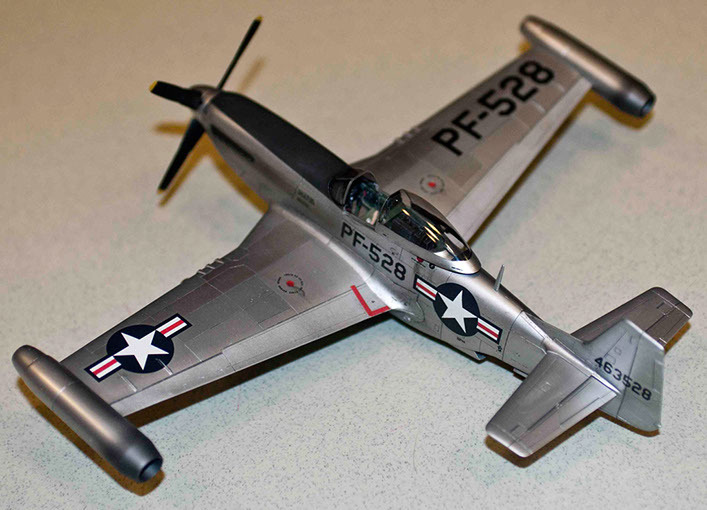 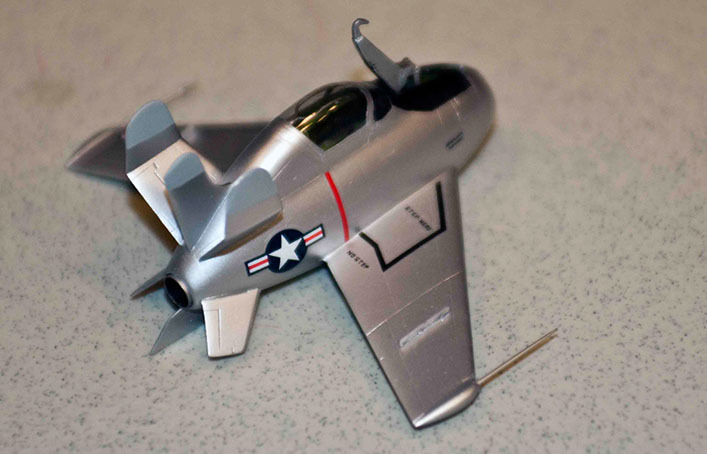 Included were HobbyTime / Aurora Bell XV-3 Convertiplane, Aurora AH-56A Cheyenne Copter, Adams Aerial Missile carrier. 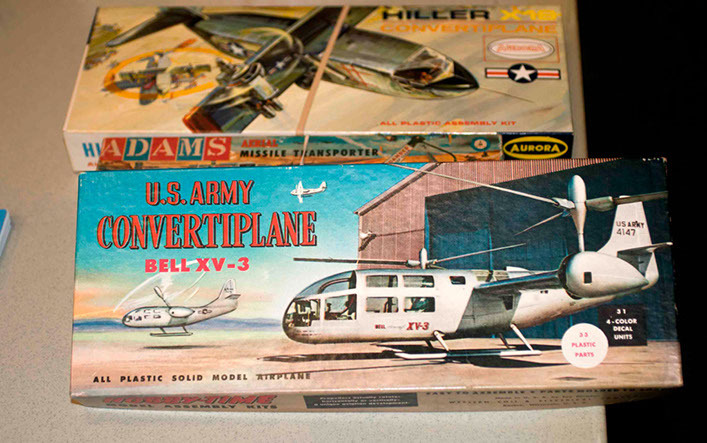 Though not noted on the box top, this was the Cessna CH-1/YH-41 Seneca Helicopter. 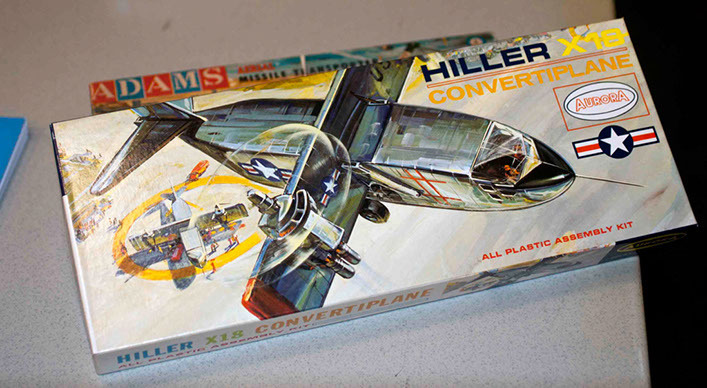 Type XII/4C 1/144 Revell/Germany. 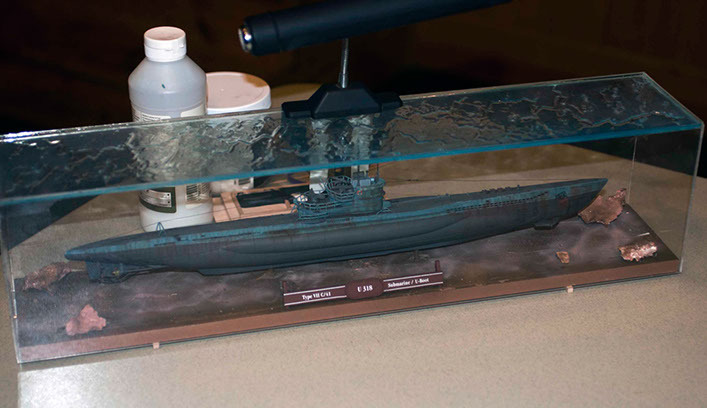 This model / diorama took 1st place at the I Hobby Expo, held a few weeks ago. 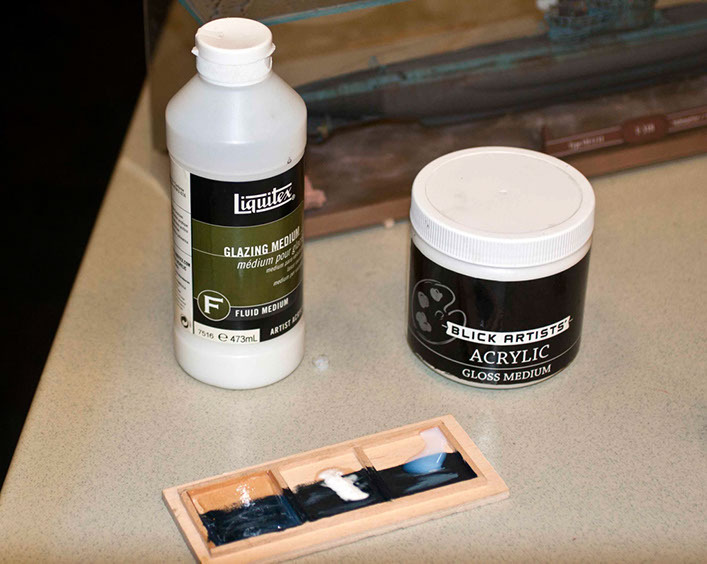 Glen also gave a small demo on replicating water for his ship model dioramas’using Liquitex glazing medium. 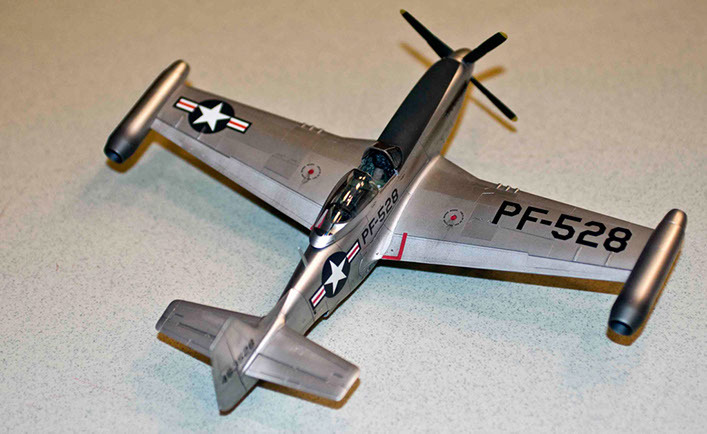 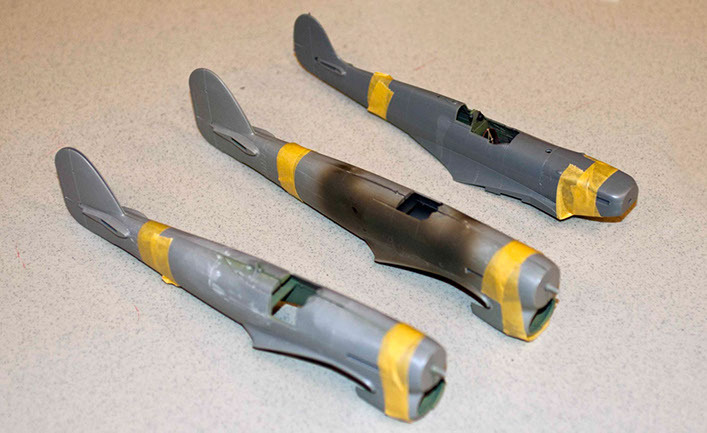 P-51D with ramjets 1/48 Hasegawa Out of the box. 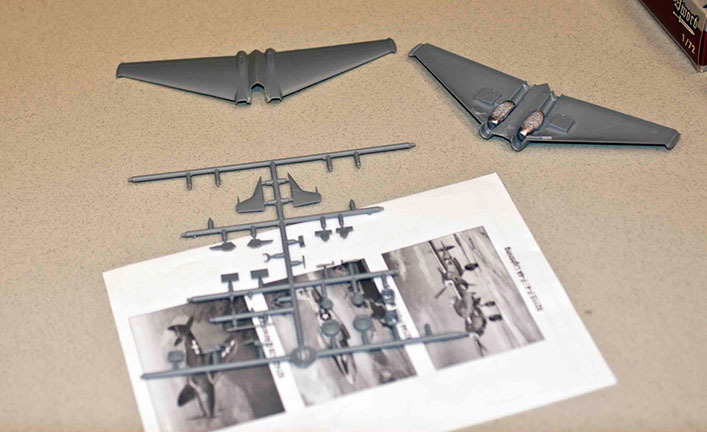 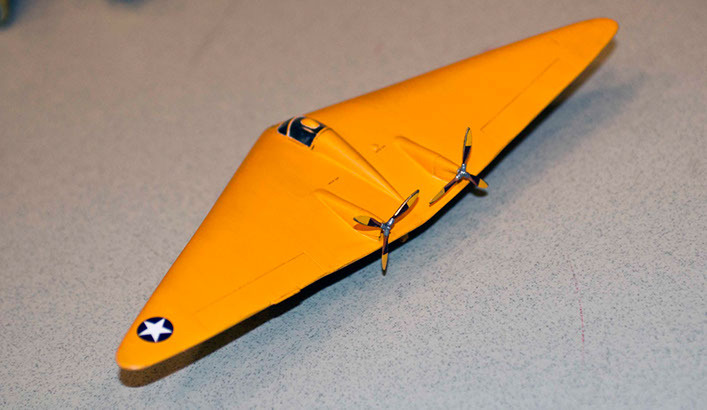 The ramjets are kit supplied and made of resin. 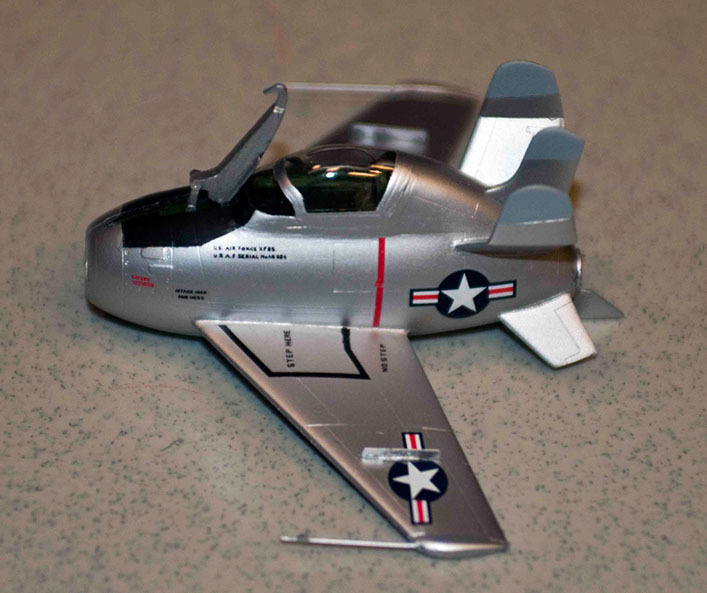 He used Alclad metallic paint to finish the Mustang. 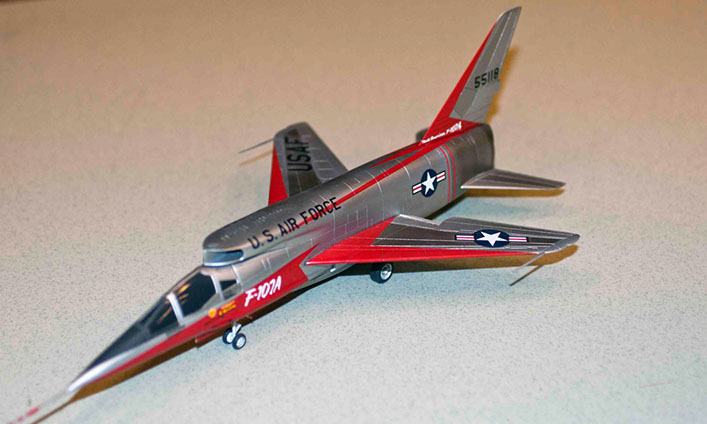 North American F-107 Ultra Sabre 1/72 Trumpeter OOB ALL red was painted by Dan as there were NO kit decals issued!– Also known as the Super Super Sabre. 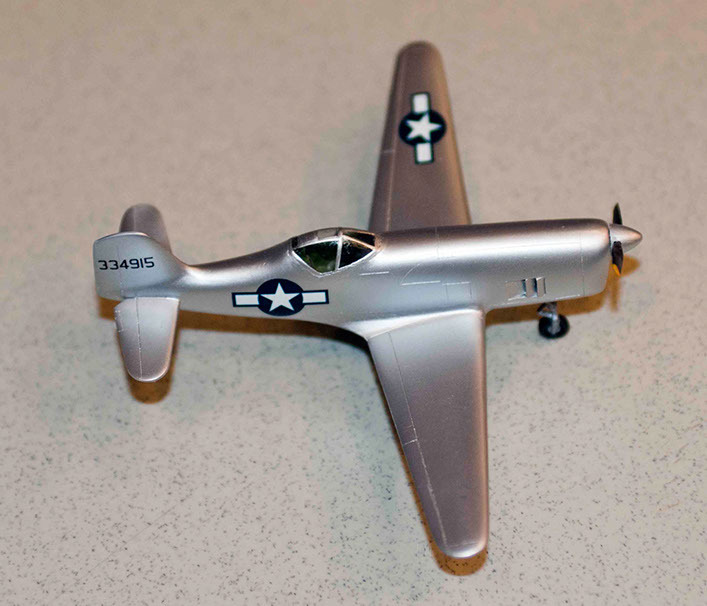 Flight crews called it the Man Eater in reference to the position of the air intake located directly above the cockpit. 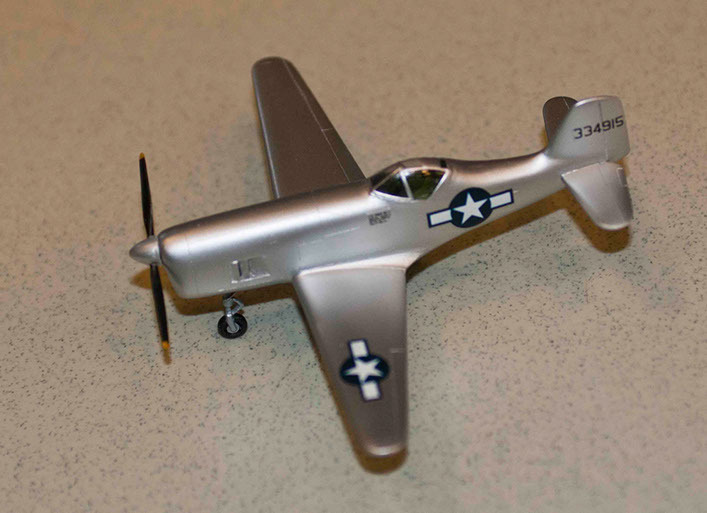 Deutsche Flugzenwerke T-28 Floh 1/48 Lee says he fought both models. 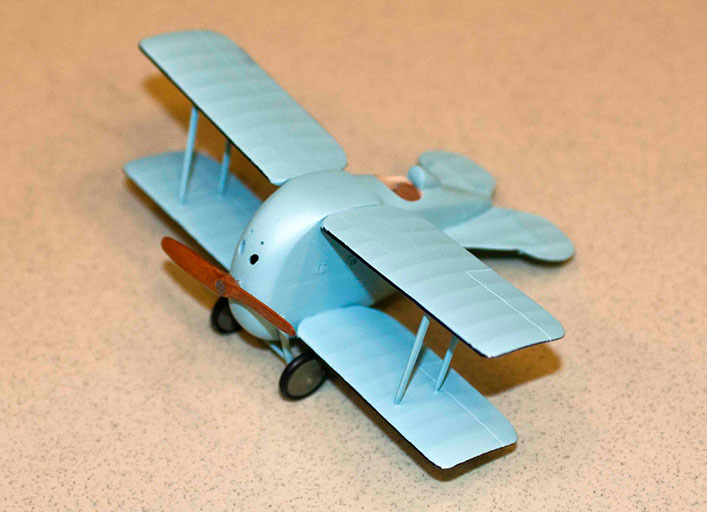 He realized the Floh wasn’t the simple kit he imagined when he found that the entire cockpit was made of photo etch.